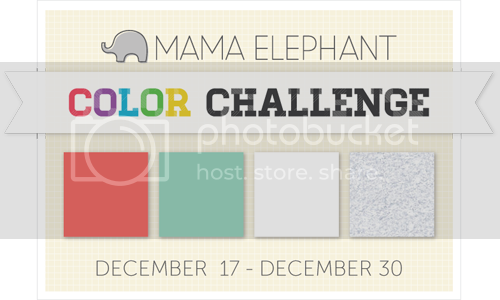 Mama Elephant is having their first color challenge...the blog post is HERE. I had first discovered Mama Elephant about a month or so ago and was immediately smitten with their designs. As I love the color scheme (in fact my rooms are in reds and aquas) and I *needed* to ink up some of their fun stamps I decided to try the challenge even though I had somehow forgotten about it until last night. I was watching "Now, Voyager" with Bette Davis and perhaps it influenced me a bit. 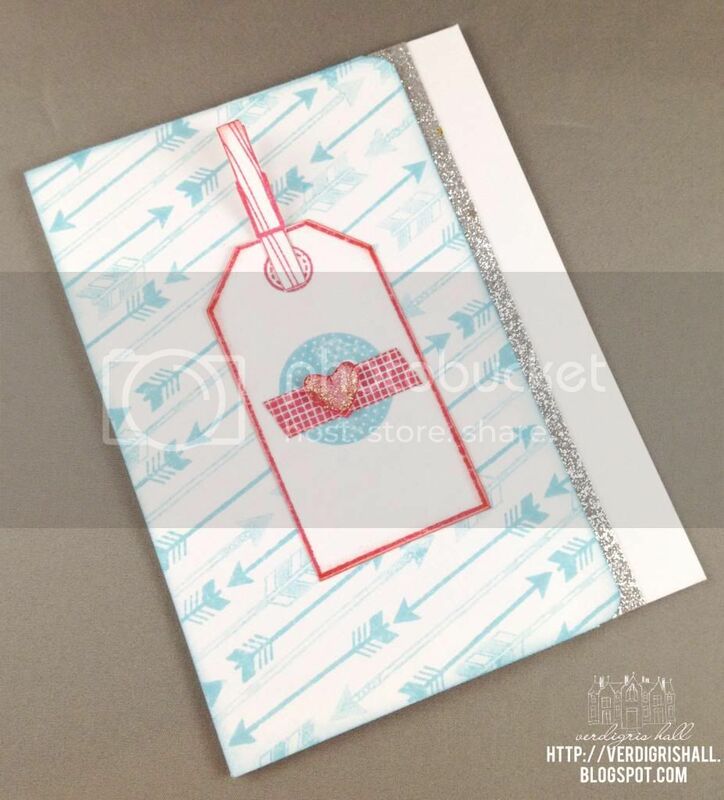 Do you see the little stamped piece of washi over the aqua heart? Like Charlotte in the movie, this little heart is mended and the healed heart is even more dazzling than before...or so I like to imagine was my unconscious reasoning for my design choices. Regardless, this is a sweet little card celebrating love in all its many facets which is pretty appropriate as we look at beginning a new year. 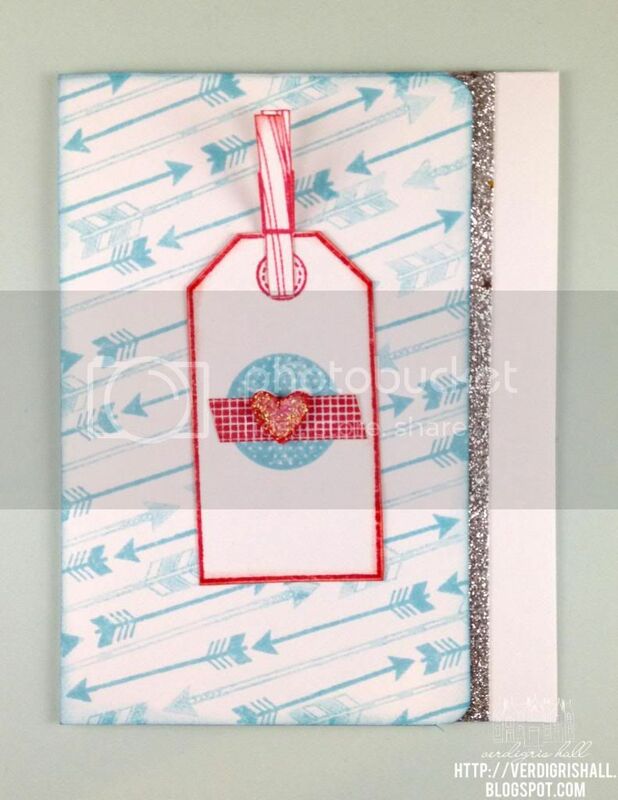 I used the hearts and arrows from On Target, tag from No Peeking and wood clip and washi tape from We Click. I double stamped the wood clip to give the appearance of depth and mimic the real deal...it was immediate love with that one stamp. If I don't get a chance later, I wish all of you a new year brimming with laughter, good health, possibilities and most of all love in all its incarnations. I love all those arrows, they totally look like a patterned paper! Loved your explanation of the meaning behind this card, makes it all the more special! 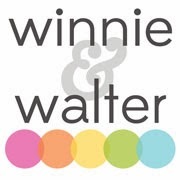 Thanks so much for stopping by my blog and leaving some love! Those arrows sure are fun, aren't they? :) And you sure went to town with it!! What a fabulous card! 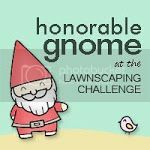 Thanks for playing with ME! !